You’re all set for your trip with a tent, pack, and sleeping bag, but sometimes, the best trip comes down to the details. We’ll get you all set-up with the accessories you need and not the ones you don’t. We’ve got sunglasses from Smith, Native, and Suncloud, Darn Tough and Smartwool socks, sunhats, wicking hats, and children’s hats from Outdoor Research, Wallaroo, and Pistil, as well as lots of other last minute gear for a good day out in the hills. 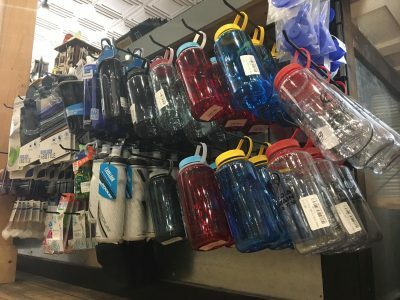 Custom Nalgenes and Hydroflasks, plus reservoirs and and a variety of soft bottles!